We are a general interest radio club with specialties in most aspects of ham (amateur) radio. 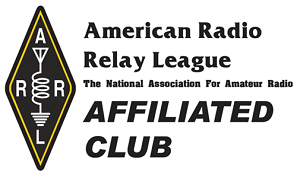 We have been recognized by the American Radio Relay League (ARRL) as a Special Service Club for our community service work. General meetings are held on the 4th Wednesday every month (except December) at 7:00 PM Local Time. Meetings are held at the South Florida Science Center and Aquarium, 4801 Dreher Trail North, West Palm Beach, FL 33405. Meetings are open to everyone and we are known as the friendliest club in the area. We provide entry level Technician, General and Extra class license classes. We offer a number of additional classes including Basic Electronics, Hands On Radio, Antenna Building and more. We offer ARRL Volunteer Examiner (VE) license testing multiple times per year. The WPBARG sponsors many activities like Field Day, 2 picnics each year, a weekly breakfast, radio raffles, an equipment auction and field trips. We have over 100 members from across Palm Beach County. Many of our club members are involved with the Science Center, ARES/RACES, Skywarn, MARS and CERT programs. 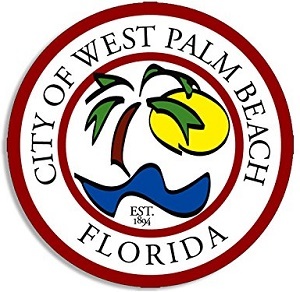 Since the late 1930s the West Palm Beach Amateur Radio Group has been a community supported and nationally recognized radio club, not only for it's fine radio skills and teachings, but for its dedication to the community of West Palm Beach, Palm Beach County and the entire Amateur Radio community. In 2013 our club was awarded the prestigious "Club of the Year Award" at the Dayton Hamvention. This is an international award with clubs from around the world being considered. On two separate occasions we provided an amateur radio communications link with the International Space Station while in space. Many local school students were able to talk live to an astronaut in space and ask them their individual questions. We have members interested in just about all aspects of Amateur Radio: rag chewing (long conversations), Morse code, contests, home brew and kit-building, antennas, digital modes, emergency communication, DXing (communicating over long distances), social time, community service, and other areas.